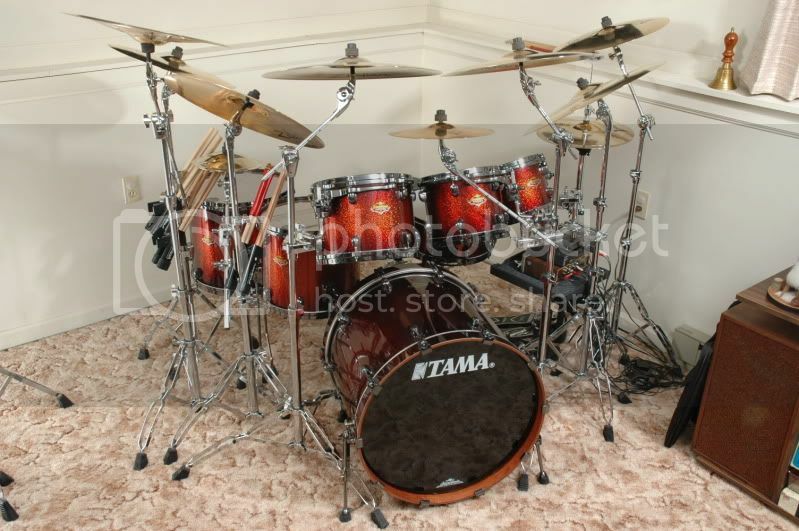 Post your HUGE kits here! 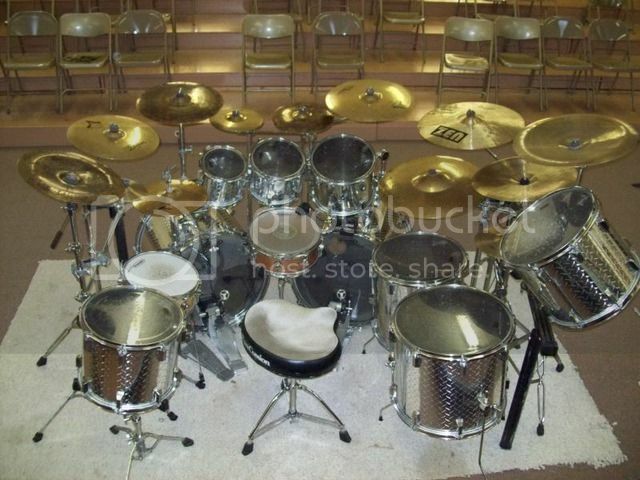 audiotech wrote: These kits aren't hugh, but are very nice, sound terrific and are a lot of fun to play. Here's two pictures of each. 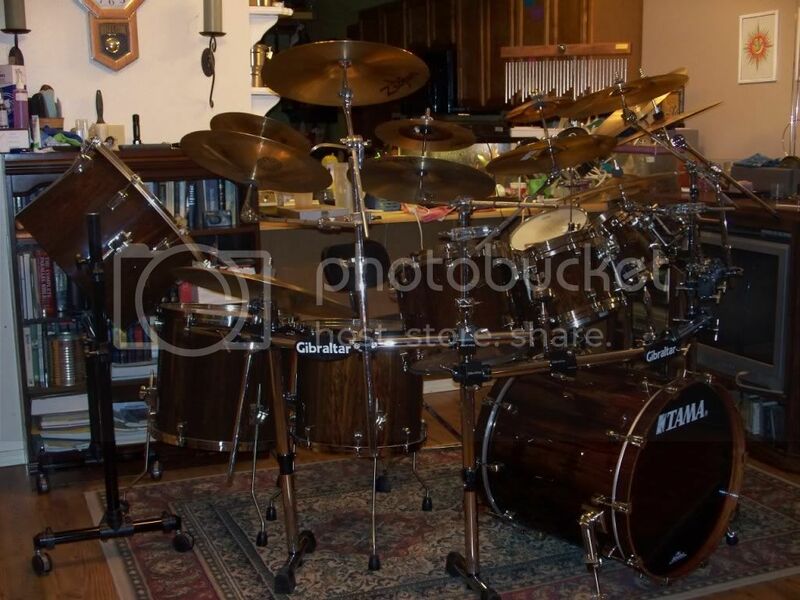 My Tama Starclassic Bubinga with Zildjian A Custom cymbals. 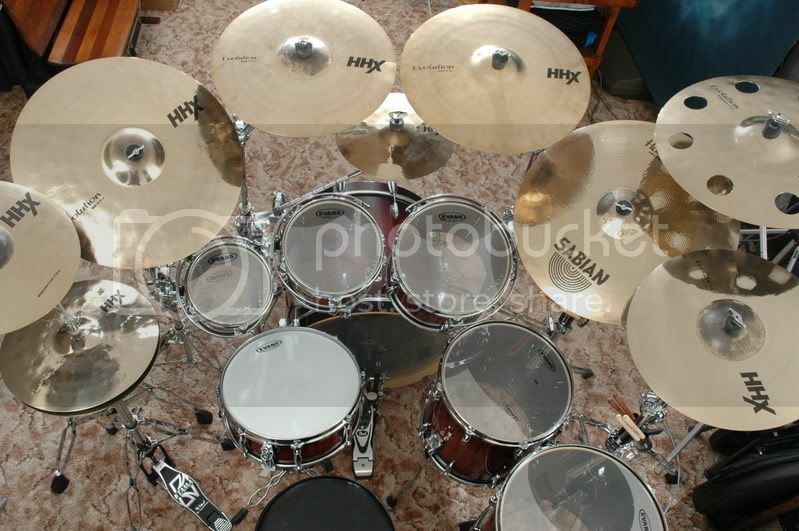 My Gretsch Renown maple kit with Sabian HHX Evolution and HH Raw Bell Dry ride cymbals. 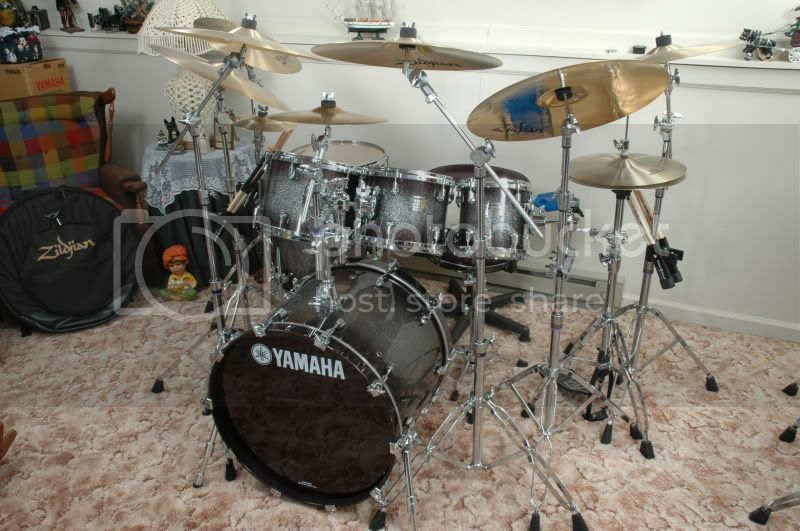 I also have a vintage 1965 Whitehall (Pearl) kit with Sabian Hand Hammered cymbals, but it's not hugh, just a 5 piece kit. I am raging with a sinful jealousy towards you. Major props to you for having the cash and such great taste! Absolutely love the kits! Got any videos? I proudly play with Tama (snare drums), PDP, Sabian, LP, Paiste, Vic Firth, Aquarian (bass and snare heads), and Remo (tom heads)brands! 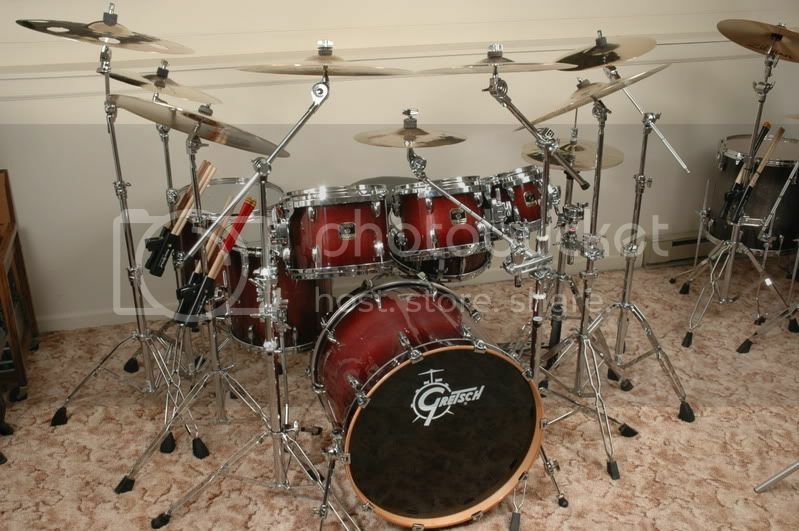 My biggest drummer influences are Mic Fleetwood, Nicko McBrain, and Mike Portnoy. Those are some awesome kits you have as well! Love those bubingas, eh? 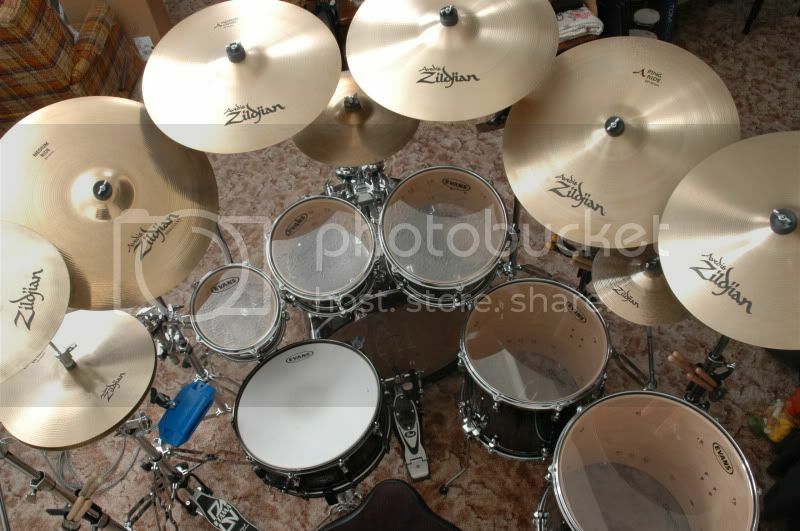 The other kits look great too, nice cymbal choices! Oh ok, well thanks for the compliments anyway! My kit at DRT this year. very nice man. I wish to have one like that in the future. 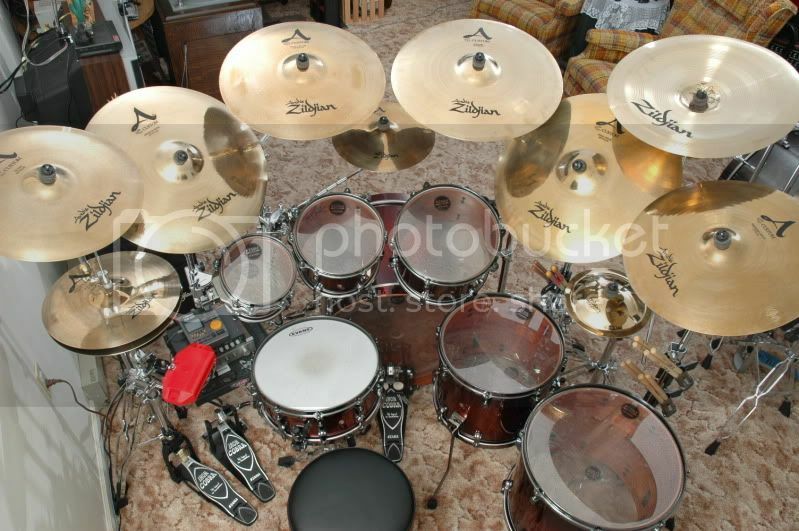 Wow, thats an amazing kit, wood grain always looks amazing. It's my favorite finish and fitting for my "dream kit".